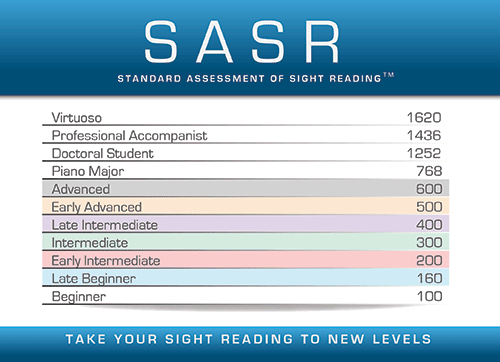 All students who’ve had at least a year of lessons with me have taken the Standard Assessment of Sight Reading (SASR) in the past two weeks. Parents, I encourage you to log in to view your child’s score. You’ll find the score under Attendance and Notes in the password-protected section of the website. This first score is just a baseline. We’ll take the assessment twice more during the school year, and it will be fun to see those numbers go up!